1966: Montréal Administrative Region created. 1987: The Administrative Regions of Laval, Laurentides, Lanaudière and Montérégie are created out of Montréal. Counties (MRC): Until 2002, there was a single county-level organization called Communauté urbaine de Montréal. Since 2002, the city of Montreal has county competence. The following municipalities do not exist at the moment, however some of these flags are still used as borough flags by the borough councils. Some of the municipalities will come to existence again on Jan 1st 2006. Société de transport de Montréal (STM) is the transit agency in the Montréal area. 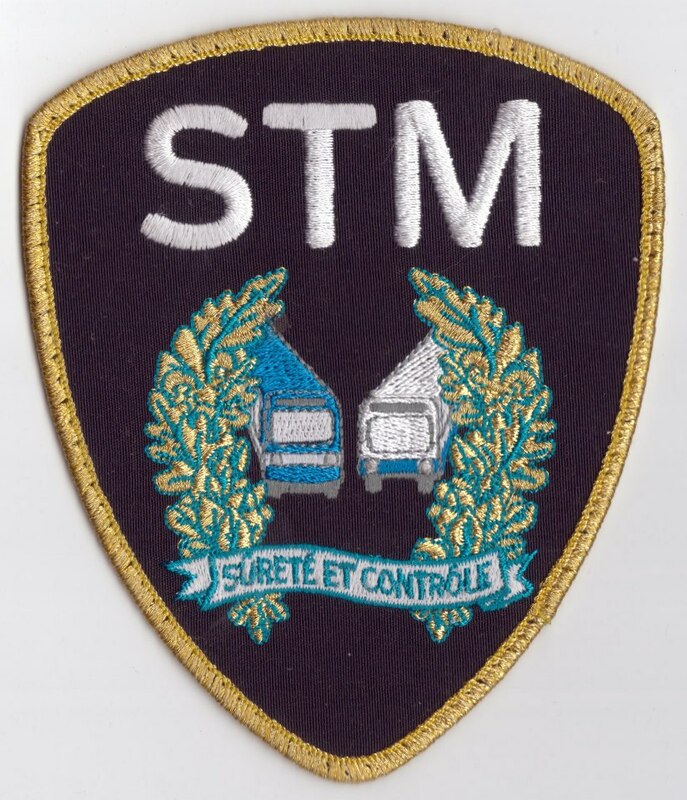 The flag can be seen at http://lesbusboys.com/photogallery/displayimage.php?pid=10741&fullsize=1, along with the flag of STM Sûreté et contrôle (Transit Police), which shows the transit police shoulder patch on a white field (below).